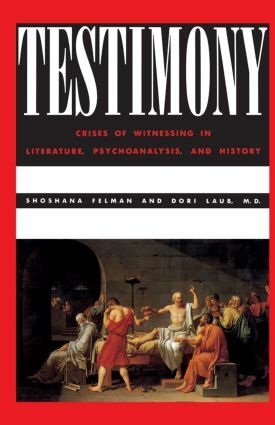 In this unique collection, Yale literary critic Shoshana Felman and psychoanalyst Dori Laub examine the nature and function of memory and the act of witnessing, both in their general relation to the acts of writing and reading, and in their particular relation to the Holocaust. Moving from the literary to the visual, from the artistic to the autobiographical, and from the psychoanalytic to the historical, the book defines for the first time the trauma of the Holocaust as a radical crisis of witnessing "the unprecedented historical occurrence of…an event eliminating its own witness." Through the alternation of a literary and clinical perspective, the authors focus on the henceforth modified relation between knowledge and event, literature and evidence, speech and survival, witnessing and ethics.